Under the blessed guidance of Hazrat Amirul Momineenaa, Jamaat-e-Ahmadiyya Germany launched a campaign to convey the message of peace all over Germany by distributing informative, yet concise leaflets and engaging in dialogue with the media and society. 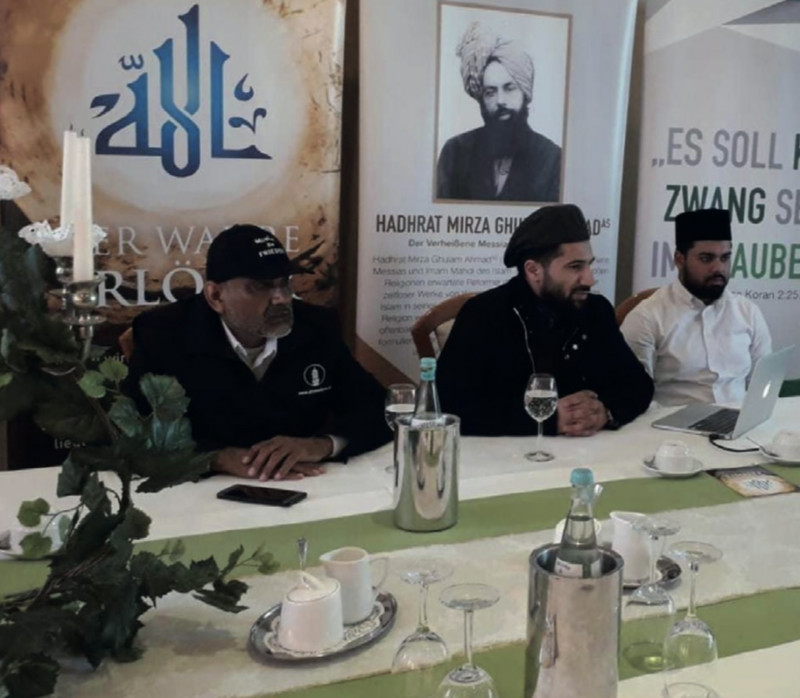 After seeing successful results in social circles, its second phase was launched on the blessed day of 23 March, the Promised Messiah Day, in major cities of Germany. 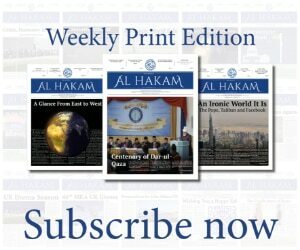 The main theme of this fresh wave of tabligh and press conferences was the campaign of “The Messiah Has Come”. Press and media representatives were invited in major cities of Germany, where Jamaat missionaries presented the message of Islam Ahmadiyyat and subsequently answered questions by the media. As usual, in some cities, this fresh campaign was welcomed, while in others it was seen with mixed gestures of amazement and delight. The questions revolved around the projects of the Jamaat in Germany and some of the press representative were keen to know the financial system of the Jamaat behind such national level projects. In Auchan city, media persons requested Jamaat volunteers to spend the day with them to cover this interesting event. In general, it was felt that this new campaign, “The Messiah Has Come”, is getting an impressive response from the media, public and social circles of German society.